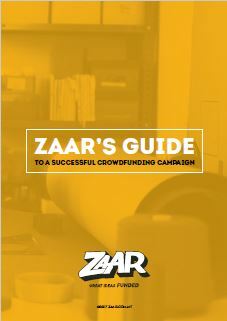 Zaar.com.mt – A crowdfunding platform where great ideas and funding meet. First Step – Pick an idea that excites you. Second Step – Become a supporter by donating to help get this great idea reach its funding target. Third Step – Tell everyone. Remember, the more people know about this project, the easier it will be to reach its target. Fourth Step – Once the target is hit, the idea can become a reality.As a supporter, you can enjoy the rewards. Don’t let great ideas go to waste. Keep on the lookout for the next idea to fund. Why support a project on ZAAR Crowdfunding? Murphy Makes It to the Finish Line! Reunited Pet Cabin: Fully Funded!